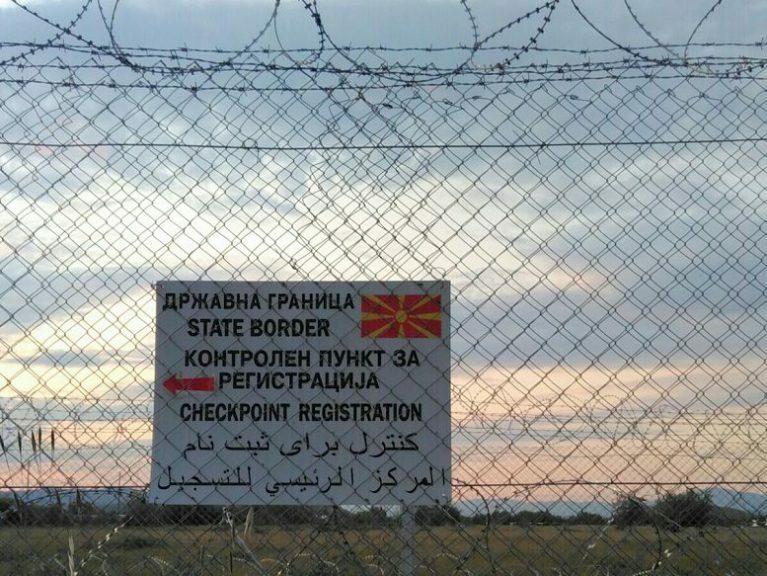 Live Ticker Eidomeni | On the 18th of November 2015, Slovenia closed its borders for refugees who are not from Syria, Afghanistan or Iraq. 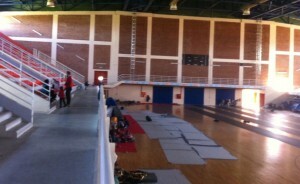 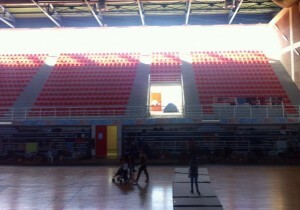 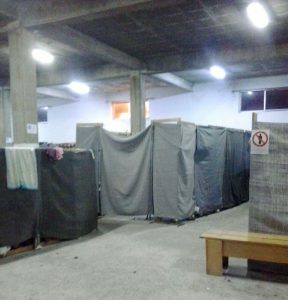 Just a little later, Croatia, Serbia and Macedonia also adopted this practice of segregation. There is little doubt about that this policy was pushed by the European Union as a starting point for slowing down or even stopping the flow over the Balkan route. 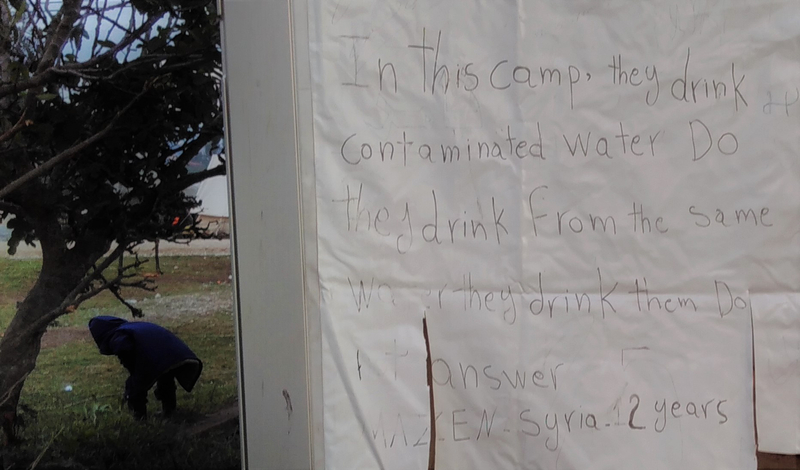 Thousands of refugees were stuck in Eidomeni, Greece, and started to protest. 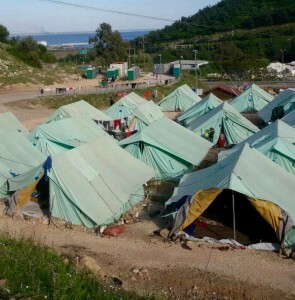 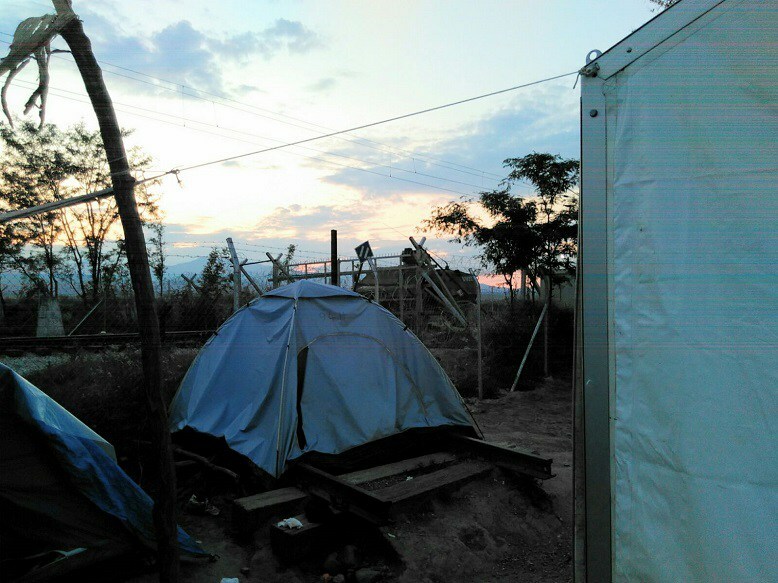 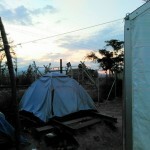 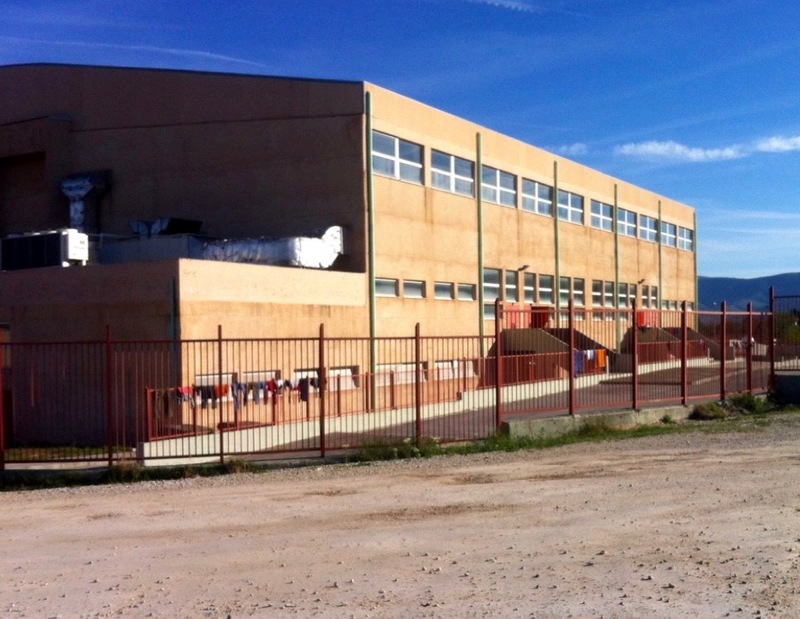 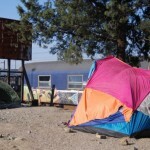 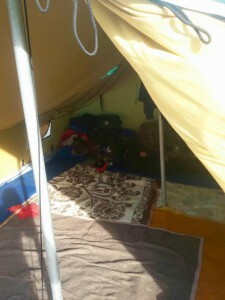 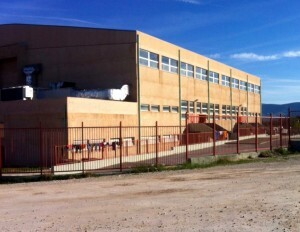 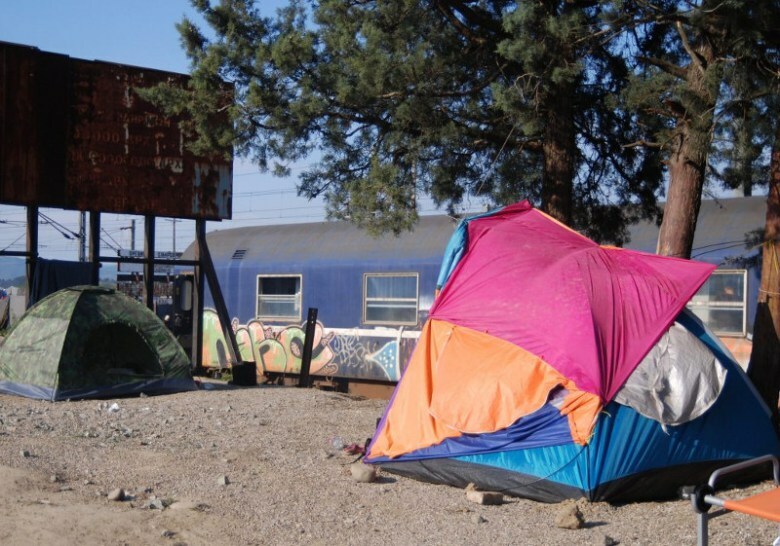 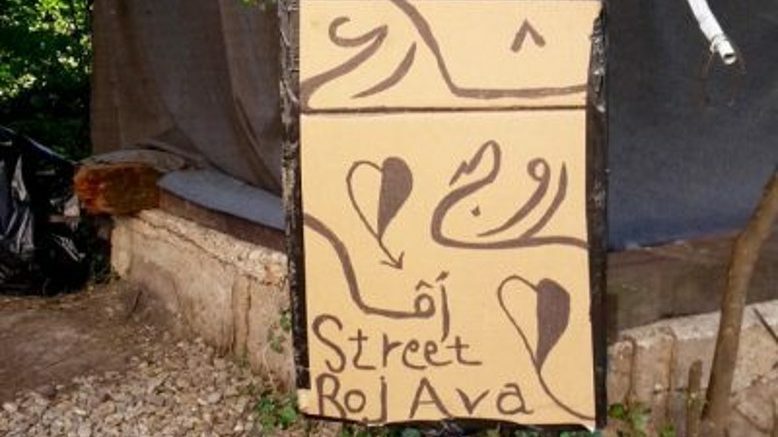 The Moving Europe Bus was on the spot and reported live from the 22nd of November to the 11th of December 2015 – when the camp had been evicted. 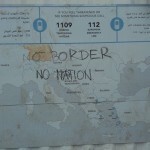 On the 5th of February 2016, we decided to restart our live-ticker as the new year has already seen several attempts from the European Union to slow down the migration movement towards Europe. 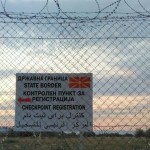 Macedonia seems to become a key player in this strategy. 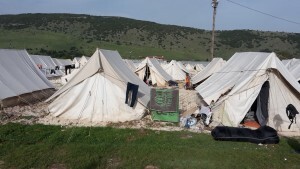 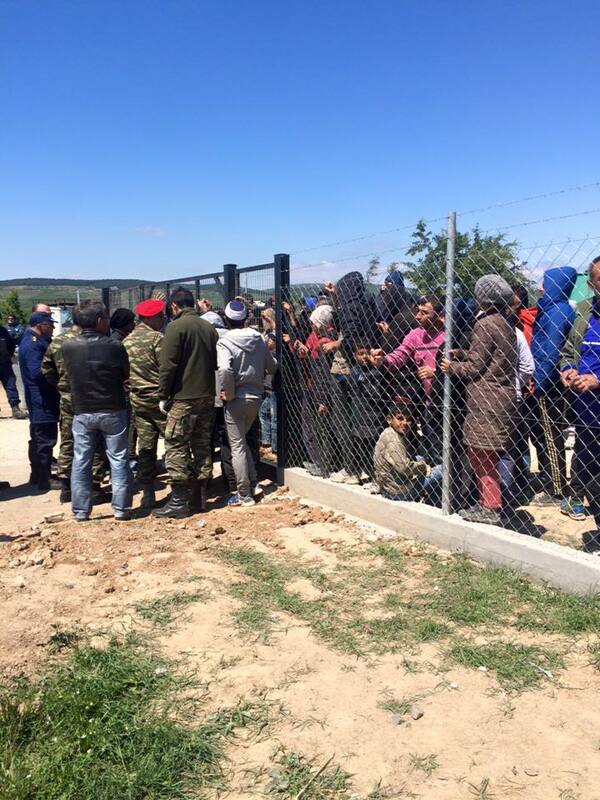 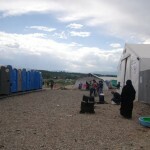 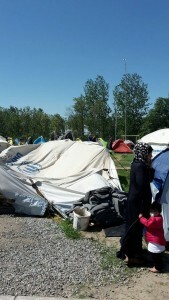 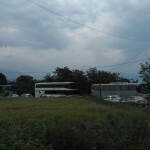 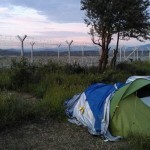 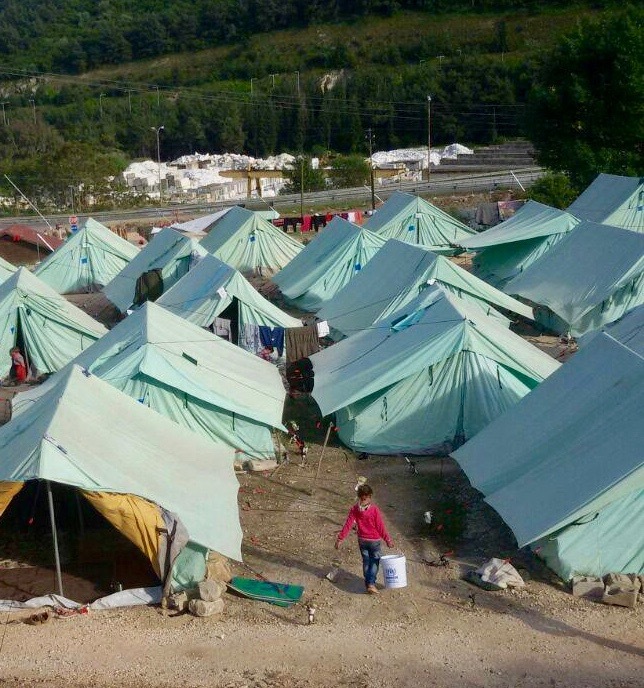 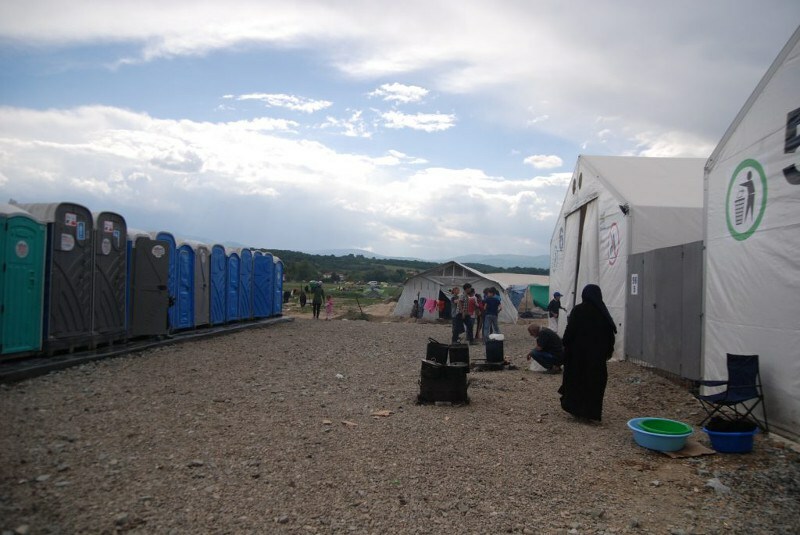 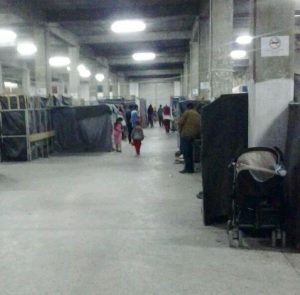 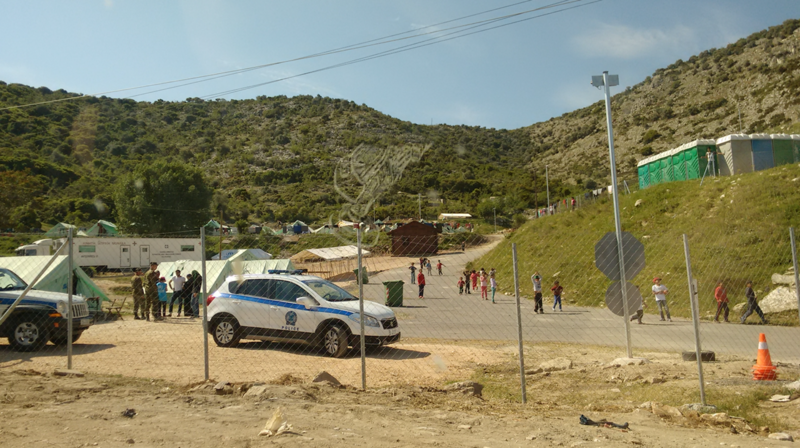 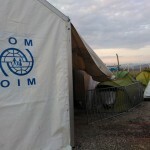 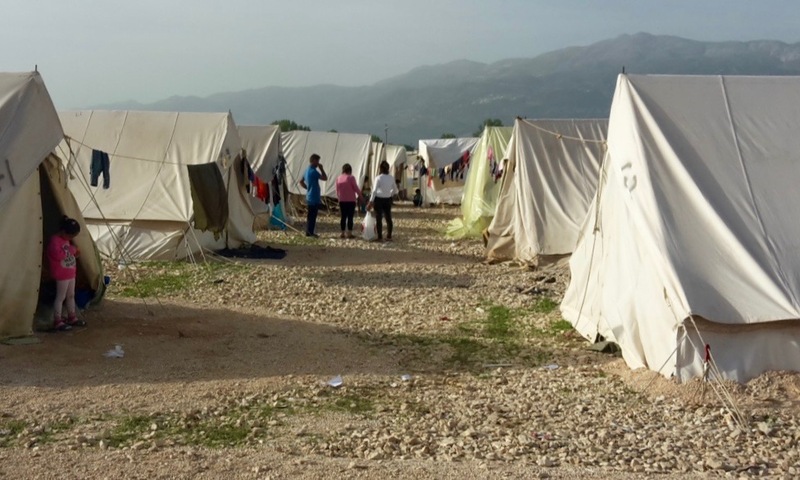 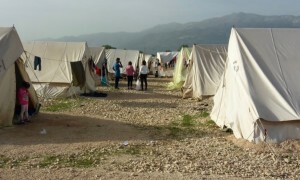 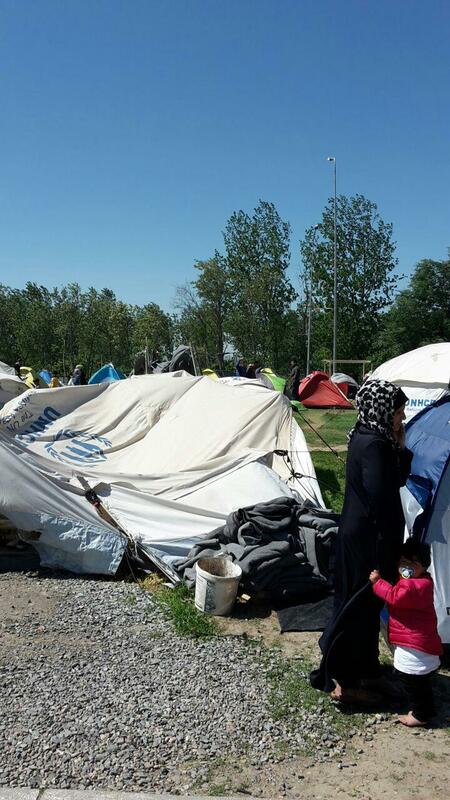 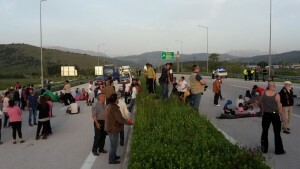 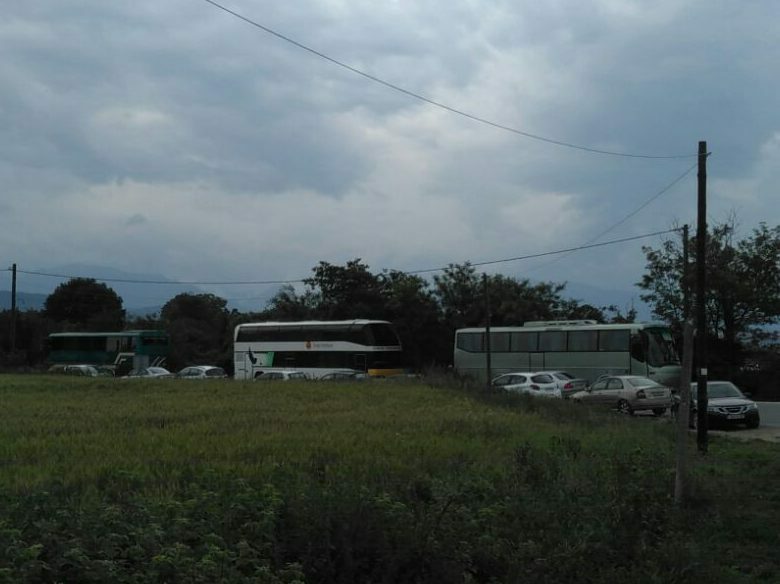 For several weeks the Macedonian border authorities have slowed down the transit process. The predictable effect of this, given the high arrival numbers to the Greek islands, is that thousands are becoming stuck in Greece. 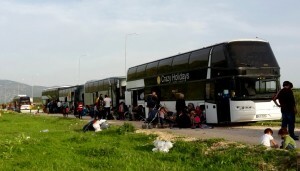 On the 3th of February the Macedonian government announced its plans to strengthen border controls which will further reduce the speed of the transit process. 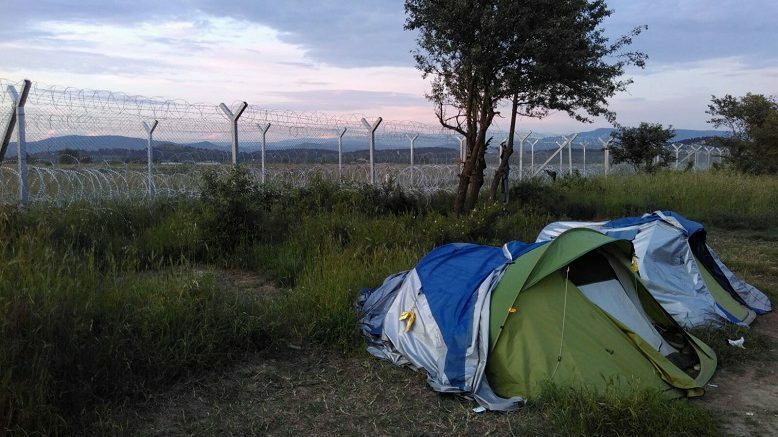 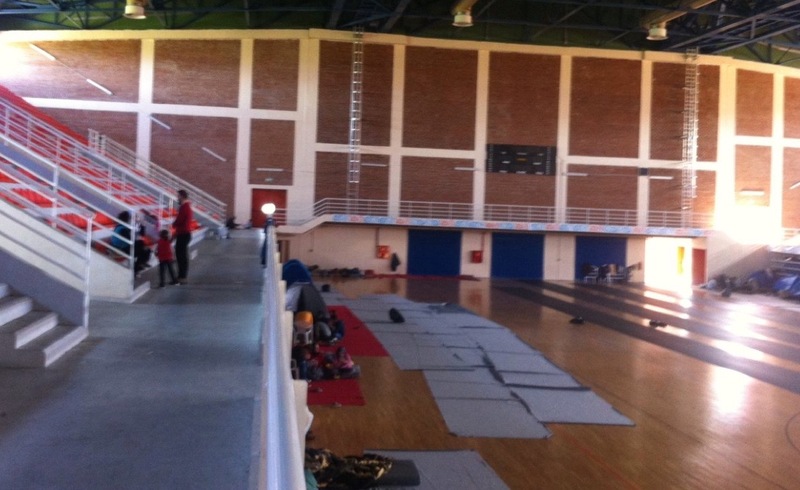 In the meantime, the Greek authorities have established a new buffer zone near to Eidomeni. 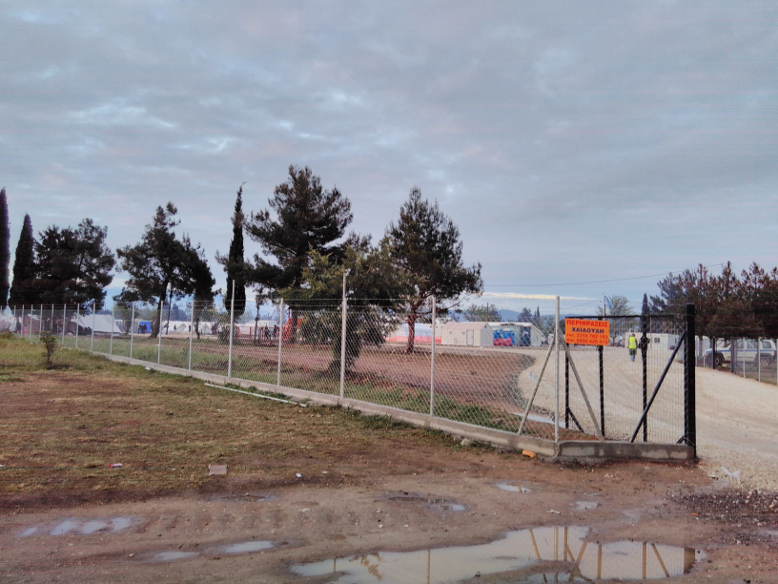 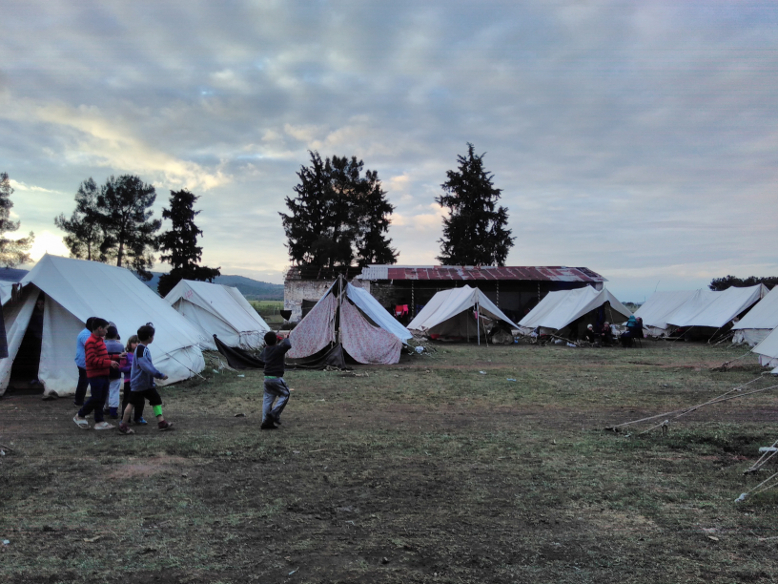 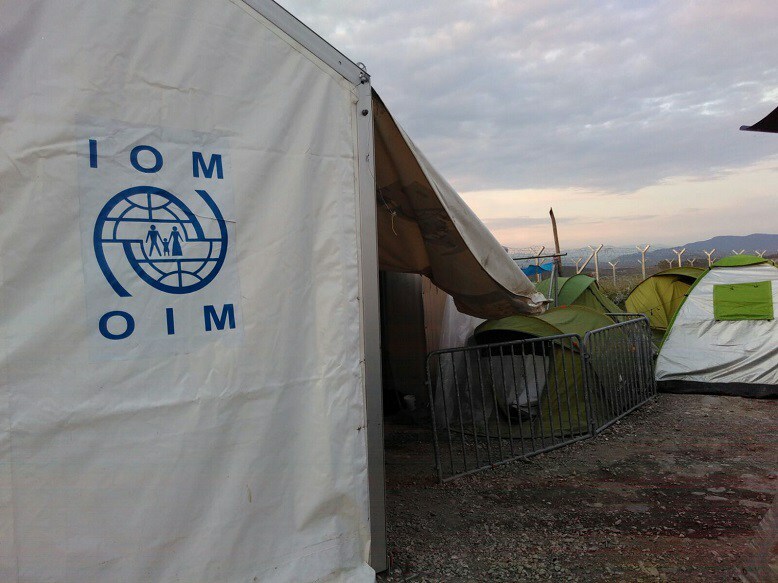 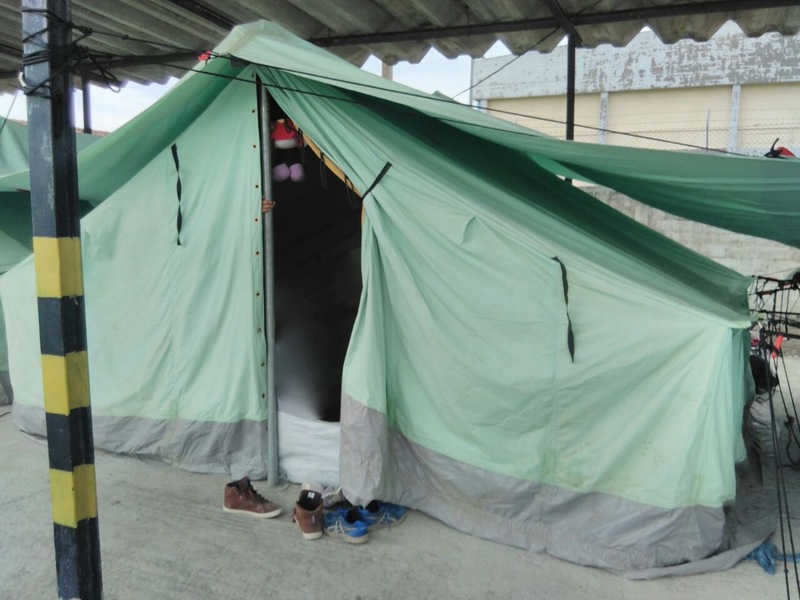 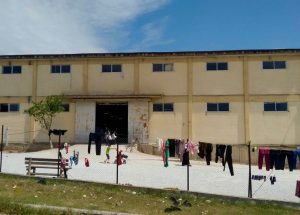 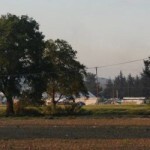 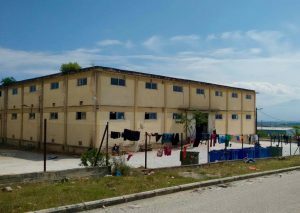 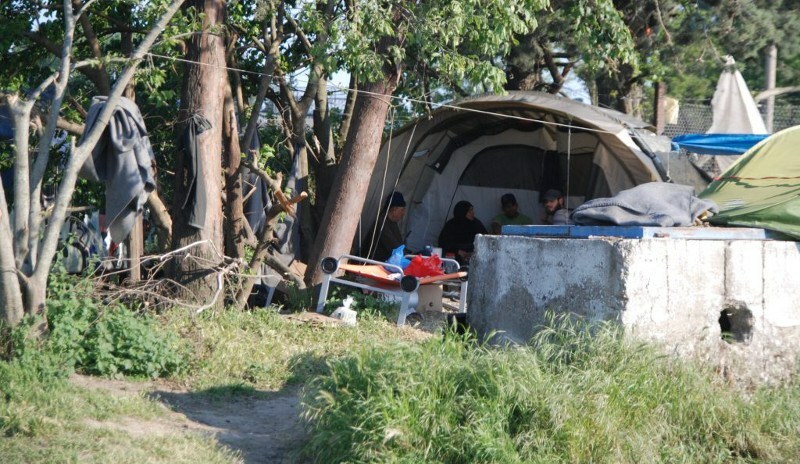 Since the camp at the border has already become highly overcrowded, there are fears that the violent scenes of last December in Eidomeni will be repeated. 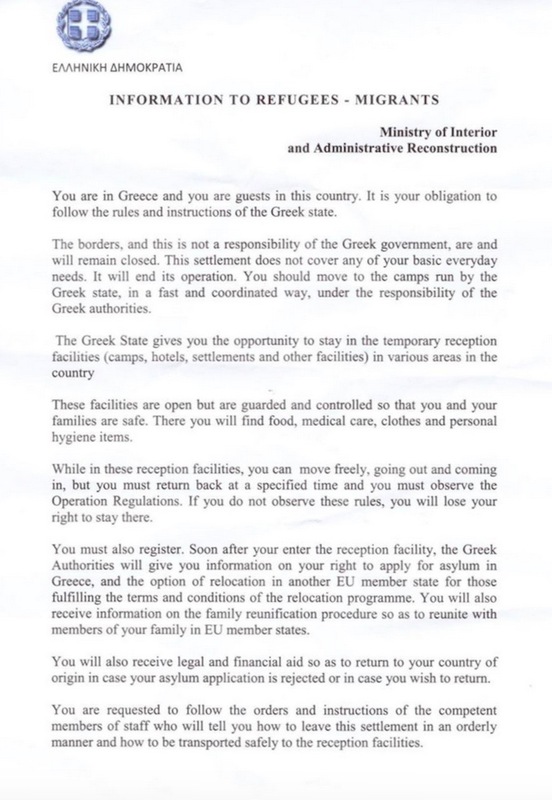 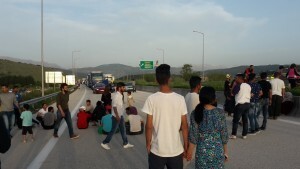 Therefore the authorities have decided that people should be kept at bay, at a gas station on the highway that is 20 km far away from the border (at Polykastro). 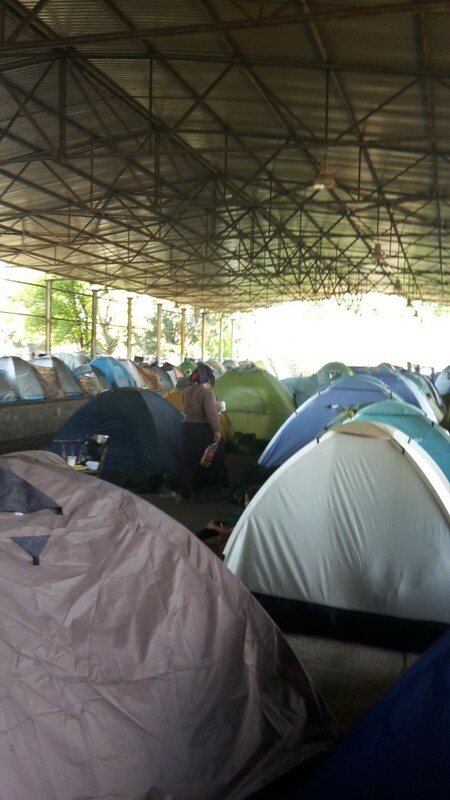 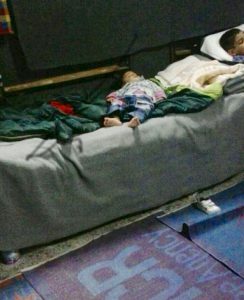 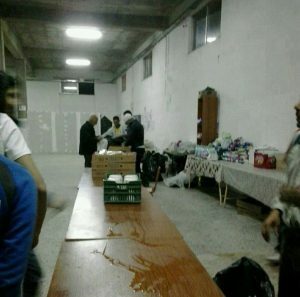 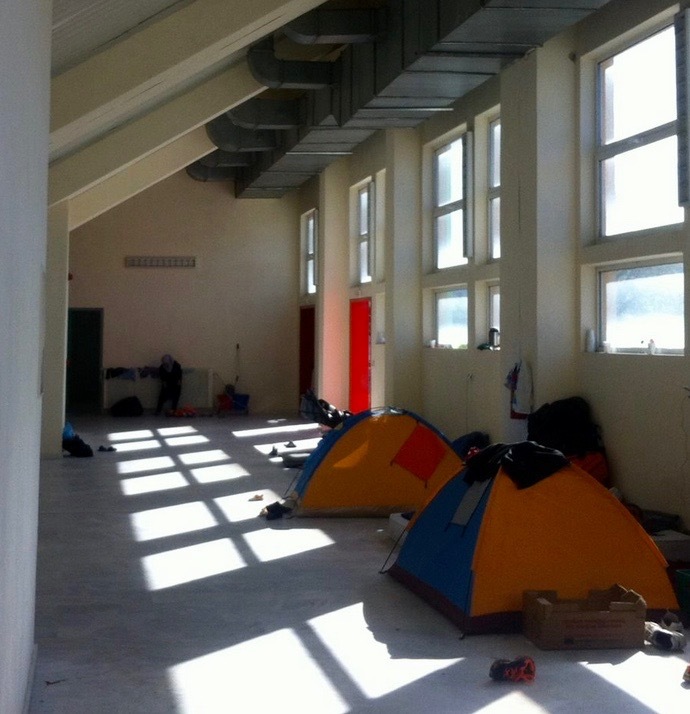 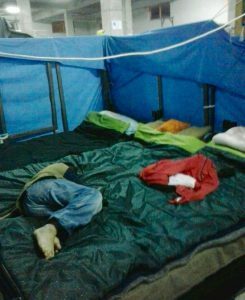 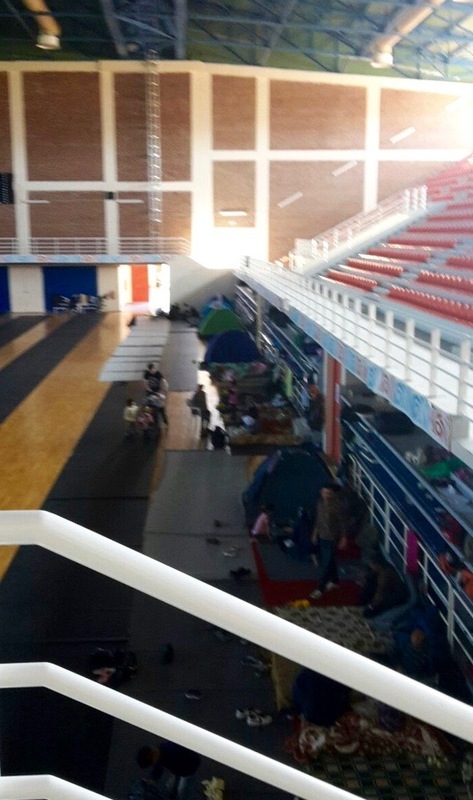 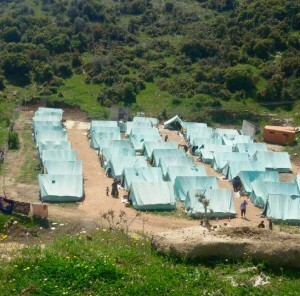 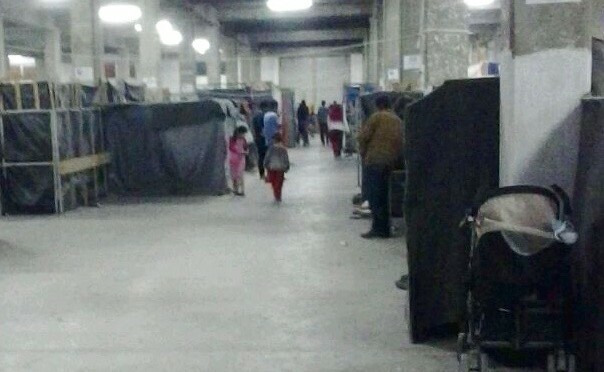 For weeks migrants have had to stay there for hours under miserable conditions. 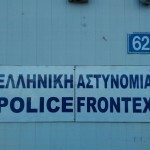 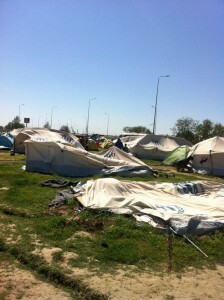 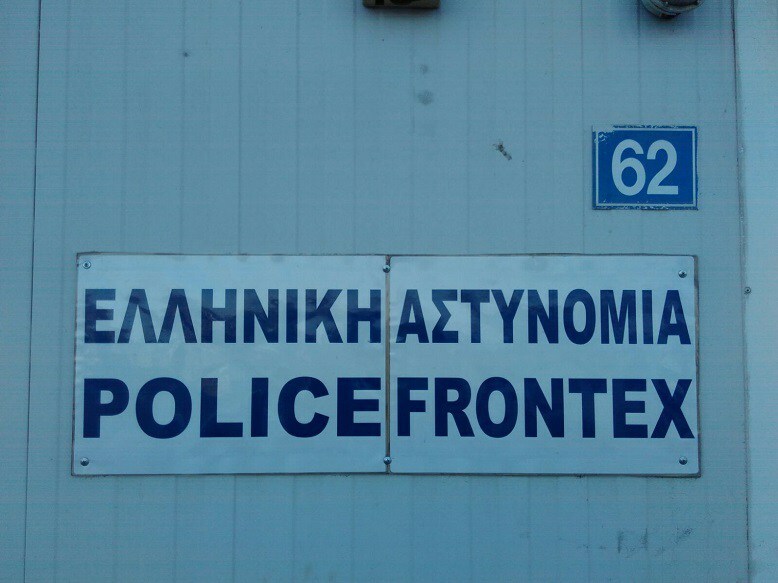 Since the end of January the situation at the Greek border zone has escalated once more. 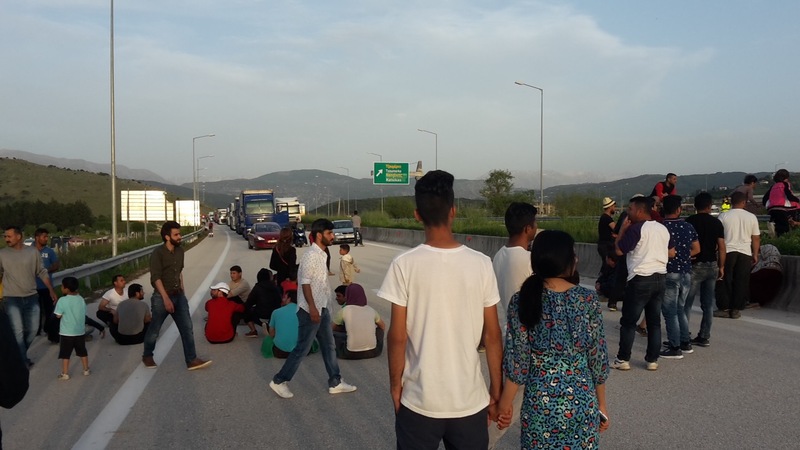 There is only a trickle of people being let through to Macedonia and now people at the gas station have to wait for days before their buses finally leave towards the border. 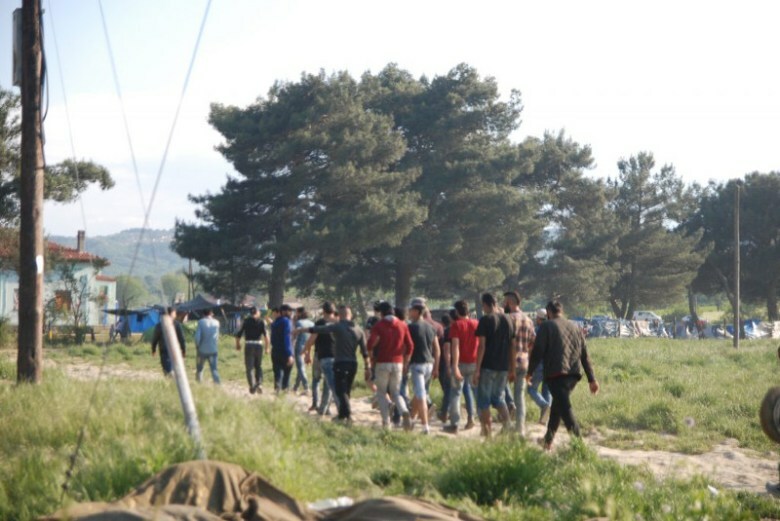 On the 3rd of February 2016 thousands of them decided not to wait any longer at the petrol station and started to walk towards the Macedonian border (#marchofhope 2). 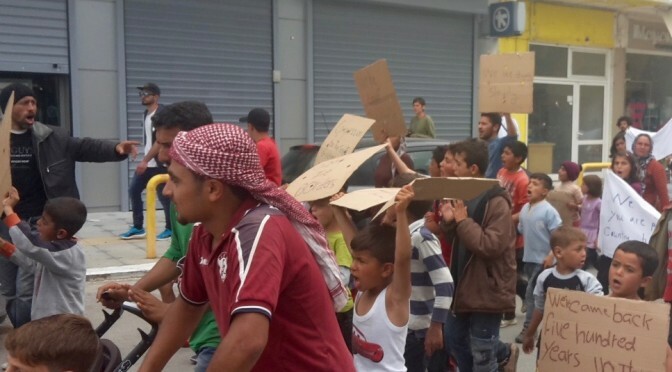 Further protests and tensions are to be expected. 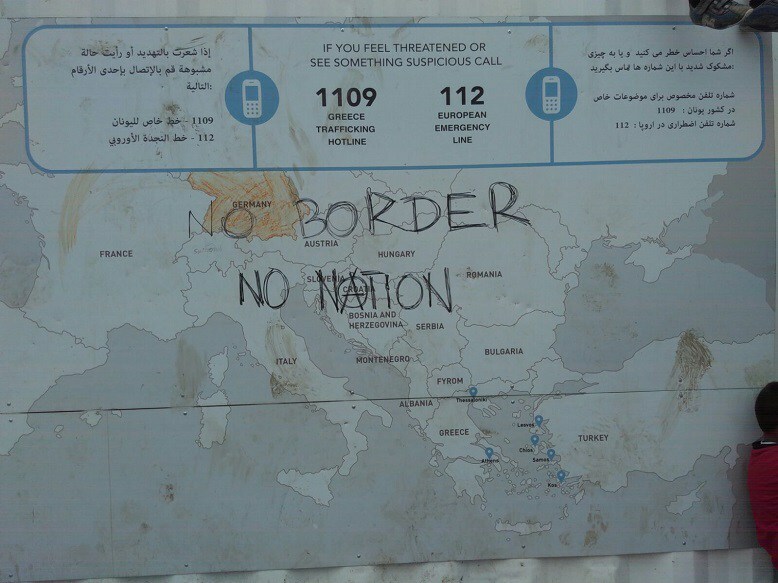 The Moving Europe Bus is on the spot since the 2nd of February and reports live from Polykastro and Eidomeni.